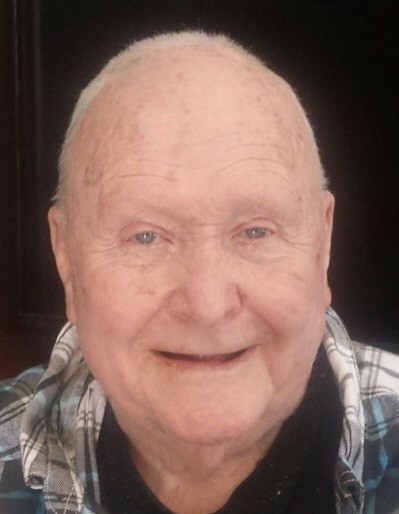 Charles “Charlie” Allen Brock, age 89 of Oxford passed away Tuesday, April 2, 2019 at his home surrounded by his family. Charlie was born in Broadus, Montana on March 18, 1930 to Allen and Amana (Lawton) Brock. He graduated from Oxford High School 1948 and married Elizabeth “Betty” Clarke on April 14, 1956 in Madison. Together they were blessed with two sons; Betty preceded Charlie in death in August of 2005. Charlie was a lifelong mechanic, always fixing other people’s vehicles before his own. He enjoyed boating and playing cards with his friends. Charlie will be remembered for his jokes and the love he had for his family. Charlie is survived by his two sons: Randy (Kathy) of Montello and Eddie of Nevada as well as six grandchildren: Angela, Amy, Allen, Matthew (Maggie), Elizabeth and Nichelle. He is also survived by eight great-grandchildren. Charlie is preceded in death by his parents, wife, Betty and brothers: Henry “Hank” and William. A memorial service for Charles Brock will be held on Friday, April 12, 2019 at 11:00 AM at the Crawford Funeral Home in Oxford. Visitation will be held from 10:00 AM until the hour of service. Pastor Brenda Pulver will preside and inurnment will follow at the Oxford Township Cemetery. In lieu of flowers, donations are preferred to the family.